Reading that Brings Early American History to Life! Recipes, projects, online games, and more! Click Below to See a Video of Our American Story 1 Journal! Experience a One-of-a-Kind Journey — Live the American Story! 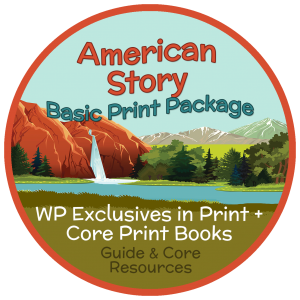 Introducing the all-new American Story – now featuring a full-color premium journal of more than 600 interactive pages! Your family will eagerly dive into studies of Colonial America, the Revolution & Westward Expansion. Your family will crowd around each story – one that shares tales of heroes, villains & the amazing people in our country’s past. The learning doesn’t stop there! See your family delve into activity resources, where they will assemble a colonial village, construct flip-and-fold maps, play traditional games, try out period recipes, explore virtual tours of early American places, and make fun hands-on projects like coonskin caps or Lewis and Clark’s keelboat. Join us this year on a memory-making adventure through early American history. Our New Beautifully Illustrated AS1 Brings You Everything Charlotte Mason! 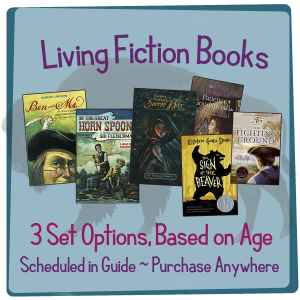 You will be venturing in to our usual set of adventure readers, this time selecting from three lists based upon your students’ ages. Titles include classics such as “The Sign of the Beaver,” and new titles like “Regina Silsby’s Secret War,” to take you inside the history and culture of early America. In addition, our book, The American Story, provides a living experience all its own. It brings together what you’re learning in other living books, providing a complete learning experience with its wealth of historical detail. Students will hear from shopkeepers and tradesmen how they run their colonial businesses, hear from Paul Revere and Samuel Adams how they stirred Americans to action during the Revolution, and so much more! This book enables you to have the full range of CM experience with no prep for your family — just a great learn-together year! Our huge 500+ page journal provides interactive, wonderfully illustrated pages that take the learning another step. Many pages require students to use what they’ve learned to make decisions or draw conclusions, like a page that asks students to decide what shipbuilding tool to use based upon the need for the tools of that trade. There are so many pages, that there will be plenty to engage every learning style! Many parents integrate oral narration into their daily studies and review, but we’ve gone a step further to provide a notebook all ready for students to dive into! Each page is interactive and wonderfully illustrated, and provide students a way to “narrate back” what they’ve learned in a written format! Each week provides a nature study or science experience or experiment for students that is linked to their historical and cultural studies. In colonial times, they try Benjamin Franklin experiments, and as they journey with Lewis & Clark, they discover the natural world that these explorers beheld for the first time! The other resources we provide allow students a wealth of different learning experiences, so each is kept streamlined. Live the American Story offers many unique things to try and do related to the culture of early America, including patterns to use, period crafts to try, and even virtual tours and videos to view! Meanwhile, Build the American Story is a resource that allows students to build a colonial village large enough to re-enact key events in colonial history or narrate about what each shopkeeper in town does and how, based upon their reading. This resource allows each learning style to engage with it differently! Interested to see what our resources looks like? 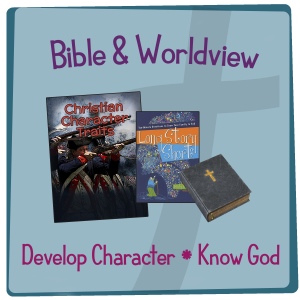 Below are samples of some of the highlighted resources in this program! To see samples of the teacher’s guide click here! To see samples of the “Live the American Story” activity resource click here! To see samples of the “Build the American Story” resource click here! Get ready for an adventure as you learn about life in America from its Native American culture, to its discovery by Europeans and exciting growth as a nation. 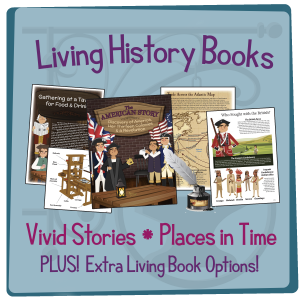 You’ll love our full color reading text that tells the stories of colonists and their work, the events that brought about the Revolutionary War, and how this young nation became a unified country. You’ll travel with pioneers and the Lewis and Clark Expedition as they travel west meeting Native Americans and the land that soon would become their home. This full color reading text is perfect for a variety of ages as the material will grab the attention of both younger and older students. Younger students will love the color and illustrations. We have also structured this reading text to look in-depth at concrete topics that younger students will remember and love. Older students will enjoy the full color text with their younger siblings or on their own. Again the concrete topics covered within the program make it easy for older students to absorb tons of information. We also have more difficult pages that cover broad movements and time periods in American history that affected our history. These topics are not as concrete and so older students will enjoy how discovering how the concrete topics covered fit into these larger movements in our history. Some of these topics include: the story of tea and other trade goods, the Age of Enlightenment, the Triangle Trade, Westward Expansion, developing and establishing our government and its policies, and the Antebellum South. In addition, the wonderful benefit of having this reading text and activity resources created by WP, is how everything works together each week. As you study these topics you and your students will understand the flow of our early American history. You’ll see how events and ideas built on each other. Students will understand and remember what they’ve studied with the structure of this resource. Our new full color journal (roughly 600 pages long! ), includes fun games, interactive journaling pages, paper crafts you can build, and more! You and your student will build a boat used by Lewis and Clark and other fun things to assemble. 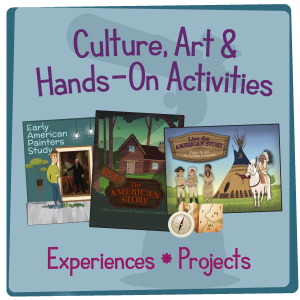 There are so many fun ready to use activities and hands-on crafts within the resources in this program such as: Live the American Story, Build the American Story, and the Flip & Fold activity book. There will be no end to the hands-on and journaling fun! This American Story program will be a journey like no other! Everything you need to study history, culture, geography, and science is included in this program. You won’t want to miss it! Look out across the Atlantic Ocean, get a first glimpse of the New World, scan Revolutionary battlefields, and study the new-fangled Erie canal — all in the picture-filled pages and historical figures to lead the way through our American reading text. 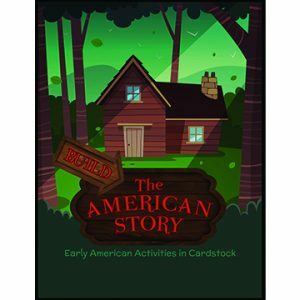 Designed to work with a wide range of ages, American Story shows you what history is all about with paintings, illustrations, drawings, maps & photographs. This year’s Early American Journal is in full color! Large maps, interactive color pages,respond to questions, create artwork, solve puzzles, and other paper activities throughout the year. You’ll try out Norse math, pick an original Thanksgiving menu, make a colonial business sign, draw a colonial postal route, decode a message about Benedict Arnold, and more! You’ll make a colonial board game, send secret messages through the Culper Spy Ring,and meet new Native Tribes with Lewis and Clark. They’ll Learn & Remember 100 Key Events and Their Importance! We’ve assembled 100 dates from this year’s timeline dates and created a reinforcement Timeline Card set that you can copy and use for games and drill. On one side is the “EVENT” and on the reverse is the “DATE” and “HISTORICAL SIGNIFICANCE” of the event, to maximize learning and retention! You’ll enjoy so many activity resources to give your family even more choices each week. One of these resources is an “Build the American Story,” where students can build colonial homes, tradesmen and craftsmen buildings, and many more! The “Flip & Fold” resource will help your student visualize the geography of important events like Paul Revere’s ride, the Erie Canal or trails to the West. 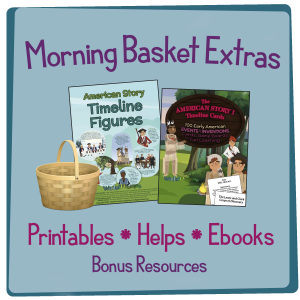 Learn more about our American Story 1 Reading Text! What makes this such a great resource? #1 You’ll Be Reading a Book! Color, Color, and More Color! – Every page of this illustrated book has beautiful pictures for your family to enjoy as it is read together. 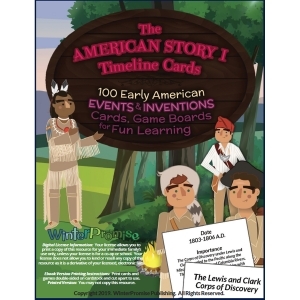 Detailed & Historically Accurate Illustrations – Each illustration in this book is carefully researched so your family will see how early Americans wore and what they created. Revolutionary War Uniforms – Minutemen, Rangers, British soldiers, Hessian soldiers, and more a shown wearing their own uniform. Lewis & Clark’s Keel Boat – see the ship that rode the Missouri River. Full Color Two-Page Spreads – as you read this book together as a family you’ll feel like you’re inside a Dorling Kinderley book. You’ll visit places like Valley Forge, the Boston Massacre, at camp with Lewis and Clark, who fought for who during the French & Indian War, and many more! “Go Inside” Illustrations – look inside a Native American tepee, an early colonial submarine, colonial courthouse, French & Indian War fort, a log cabin, and more! #2 Written to Make History & Science Memorable! As you can see these different time periods and topics are arranged in the order they happened. As you go deeper, week to week, students will have a main focus that week of learning different events that all occurred in a similar place. In week 13, Revolutionary Boston, we look at the revolutionary events that helped start the Revolutionary War. These events happened over the course of many years but are all linked by occurring in the same city. This arrangement makes it not only easy for tell the events that happened but it also helps students to see the movement of radical thought in Boston from its beginnings to its climax with the opening battles of the Revolutionary War. This is a perfect example of how the combination of chronological and topical can effectively teach and make history easy to remember for students. This method makes it easy for students to see how history and movements unfolded. Unique, High Interest Topics – this book will draw your kids in with fun and interesting topics from American Story 1. These high-interest topics are essential to our program. Each week there are kid-engaging topics related to the weekly topic, which are are most easily remembered by students. These topics then become the starting point for learning. Students will remember these topics first and then it recall the other information they learned that week as well. This method makes it easy for your student to recall more history, culture, and even the movement of history more easily with these high-interest flag topics sprinkled throughout the program. How did Native Americans use every part of a Buffalo? What kind of jobs did colonists have? What tools did they use? How did Benjamin Franklin’s discoveries, experiments, and inventions change things for colonists and science? What was life like in a Continental army camp? What was it like to be a pony express rider? What was it like to meet new Native American tribes? How did women help during the Revolutionary War? How was Beaver pelts used? What was it like to be a spy during the Revolutionary War? What was it like to live like a colonial gentleman? And many more. . .
Weekly Science Topics & Experiments – each week you’ll study nature and other sciences related to your historical study that week. Take a look at some examples from this book. Ecology – learn how the science of nature conservation began from Native American views on how animals and habitats related and effect each other. Take a look at some examples below. Staying Healthy – learn how colonists stayed healthy and how we stay healthy today. We’ll also look at how George Washington cared for his teeth. 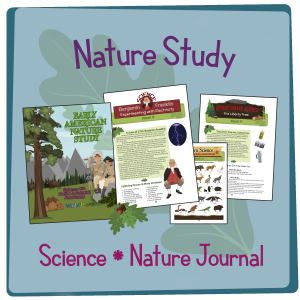 North American Animals & Habitats – as you study Lewis and Clark’s expedition you’ll learn about the new animals they discovered along the way like – Grizzly Bears, Prairie dogs, wolves, etc. Basic Chemistry – how did Revolutionary spies use lemons to reveal secret messages? Nature Observation – learn what kind of tree the Liberty Tree was. Electricity – Benjamin Franklin’s experiments with static electricity. Sound Waves & the Human Ears – learn about sound waves, how our ears hear sound, and the parts of our ears. Light, Color, and the Human Eyes – learn how we see color and the anatomy of our eyes. Easy to Read Writing – This book to with WinterPromise’s adherence to quality and excellent writing easily communicates to children of all ages. This title is written to be easily understood and followed by both younger and older students. The wonderful color pictures and high interest topics draw in younger students making the history memorable. Older students will love the in-depth topics and the amount of content. There is plenty to read and learn so older students will have much to study and love! Key Historical Movements & Transition Passages – part of WinterPromise’s adherence to quality is the to cover historical movements and thoughts that influenced that period of history. These topics are sprinkled throughout at key points in the study to help you student grasp the historical period. They are written in such a way for younger students to listen in and enjoy along with their older siblings, who will grasp the less concrete ideas. These more difficult topics are written in long-distance look so students can see the topic as a whole. Some of these transition topics, historical movements, and changing thoughts include: how the ocean between the colonies and Europe created an American character, Age of Enlightenment, the Tea Trade, road to American Revolution, Westward Expansion, formation of our government, and the Louisiana Purchase. Biographies – a look at the lives of exciting and key figures in American history make for history easier to remember for students of all ages. Students will also learn how these people lived and looked at the world they lived in. Some of the historical figures you’ll learn about include: Pocahontas, Daniel Boone, George Washington, Thomas Jefferson, Samuel Adams, Molly Pitcher, Lewis and Clark, Harriet Tubman, American presidents, and many others. Looking at Early American Culture – as you study early American history in this program you’ll also get to learn about their daily lives and culture. Below are some of the amazing things your family will learn. What Unique Hands-On Activities Await Us? You’ll study the history of America in stories of explorers, colonists, revolutionists, and frontiersmen. You’ll discover the amazing trades and crafts in colonial towns, heroes that fought in the Revolutionary War, smart presidents who led our country in its first years as a nation, and the pioneers and forty-niners that pushed into the West! What’s in the American Story 1 Guide? 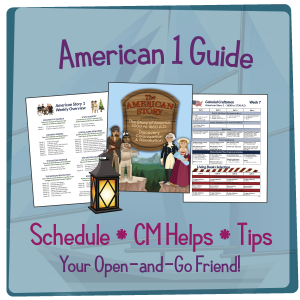 Your American Story 1 guide will come alongside you to help you keep your school days organized. It is designed to be easy to follow, with each week’s assignments laid out on just one page! The introduction to the guide offers you oodles of teaching helps that may feel like Charlotte Mason just “friended” you — like advice she’d give you on how to grade student work! It’s all here! This program is designed for students from K – 7th grades. WinterPromise considers itself a curriculum that embraces the “Experience Approach,” offering Charlotte-Mason style learning opportunities with up-to-date materials that make the most of technology, too. In each WP program, you’ll encounter a lot of our signature “Experiences.” Some of them come in key resources like our “Build the American Story” resource, while others are in the guide or ready to discover in other resources. Take a look at the “American” resources below. Discover how they function as ebooks, and the advantages to making them a part of your library, and then decide! This resource is easy to print looseleaf, and can be printed as many times as you like for multiple students, offering you a great savings. By having access to this file, you can customize and print only those pages you’ll use, which is especially handy if you have younger students, or student who would rather focus on other aspects of the program. Either way, your students are using it the same way in print or ebook. This is a black and white resource, and need not be printed in color, though it is in vibrant color in the ebook format. 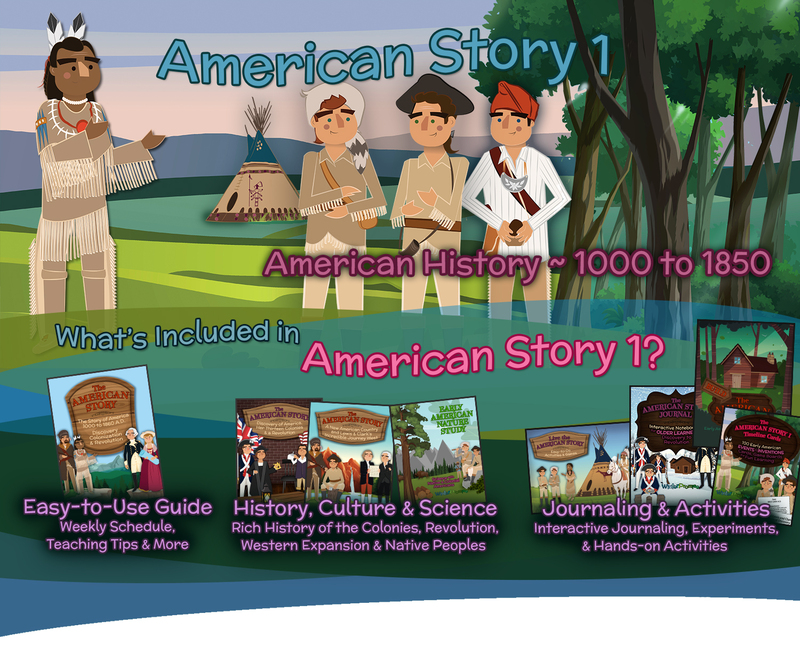 Students will be able to read both the American stories and discover the Native American tribes on any device. This book reads very easily on a tablet or laptop and is a great one to use on the go! This can easily be printed for one or multiple students. The many full color pages makes this an excellent resource to print in color. There are three journals, so you’ll be printing out pages from each one as you progress through the year. Look below at topics/sections covered in each journal. This is an activity resource that doesn’t need to be printed as you’ll only need to refer to it for activities. It can easily be viewed on a device or computer. This resource contains full color pages that you can print out as you need them each week. This resource is black and white so the students can color it themselves. Easy resource to print on own at home. What Items are Related to American Story 1? Below you’ll find information on products related to American Story 1, including the consumables in the program, language arts programs you might want to consider, and what else to add to complete the learning. Add a Science Program – This isn’t necessary for younger and middle grade students. And, If You Want Adventure Reading to Coordinate with American Story 1 . . .
WinterPromise has always included family reading with their themed programs, but as we’ve watched prices on these books go up, we feel it is better to offer parents the option to choose whether or not to purchase these books as part of their program. This way parents have the choice to collect new or used books, borrow them, or take advantage of the advent of personal reading devices and use ebooks on their devices. We have our Older Student Set, Younger Student Set and our Combined Set. When you’ve learned enough about American 1 resources, you can either continue on to our store explore other options or go to the “Ready to Purchase?” button above to see our packages. (2017) This program has been updated this year and is brand new!